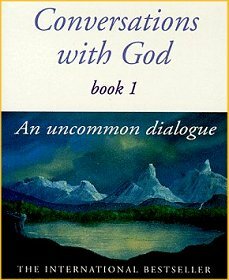 One of my top ten influential books you’ll see on this list is Conversations with God. Not long ago, I finished reading a book that has gathered some critical acclaim (which I’m not so sure it deserves) along similar lines. Next Friday, I’ll be discussing my thoughts on Wm. Paul Young’s, The Shack. In response to last week’s posting with author and friend, Brandon Schrand, here are ten books that had a major influence on my life, listed alphabetically by author (it’s easier than trying to arrange them by importance). I always hated having to find all of the information for a true Works Cited page, so this is only really a Works Cited in name. And just so you know, this is not a discussion of the books so much as why they are significant in my life, kind of a mix between memoir and book report, one of those lists that some of us just scan for familiarity, skipping the rest. But if you read them all and want to know more about the plot of one of these books, I would hope you would pursue further. This was the first horror novel that took me beyond just ghosts or monsters or maniacs. 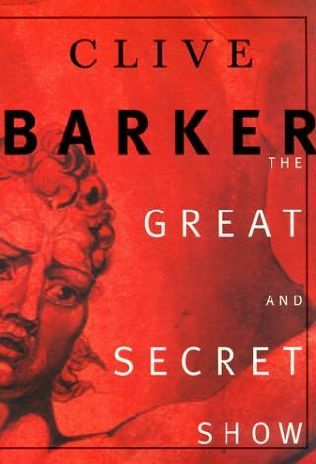 Barker has always been a fan of exploring the hazy lines between apparent opposites. He delved into this in the original Hellraiser film, taking on the taboo of pain so bad it’s pleasurable, but I think the gore drowned out the theme. However, in The Great and Secret Show, again he takes the reader into dimensions of our own world that are beyond our understanding (without all the hooks and chunks of flesh… eww). It was surprising, for example, to find in the midst of the rest of the chaos of the novel, the calming sea of Quiddity where we all visit and float three times in our life. With the exception of a glaring mistake which you probably won’t pick up unless you’re a Mormon, it’s a must read for horror fans. I didn’t pick up this mistake until my second reading, but while it shows that he probably should’ve done his research on this particular matter, in the realms where there is no tangible research, the worlds that he creates intertwined with our own, I find enough to make this one of the top horror influences in my past. I think this book addresses the fears of many of us writers in an increasingly digital age, in a society of which, at last count, only about a quarter of the population reads. 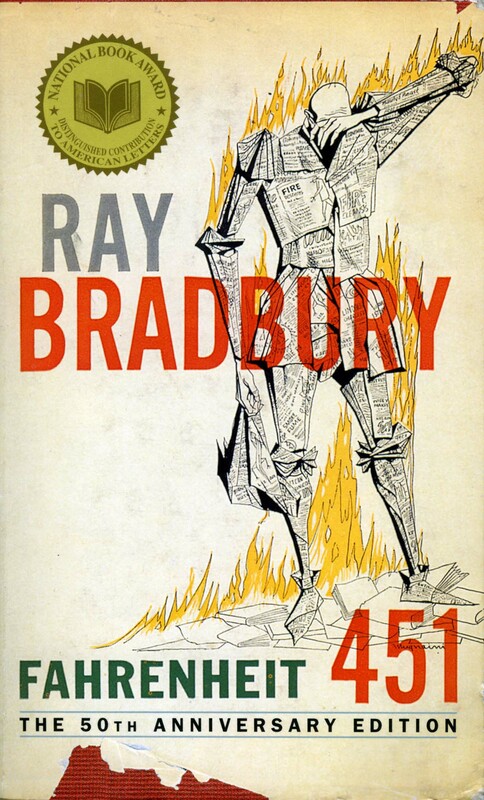 Add in the fact that it was written not long after the introduction of the television about Bradbury’s vision of the future, a future that looks remarkably like our present day, and you get a great mix of a classic and cautionary tale. I’m a little ashamed to admit that I didn’t read this book until two years ago before I taught it to tenth graders, but I’ve since decided that it’s never too late to read a great book, and in this case, wonder if we should be hiding that great book before someone tries to take it away from us… or put it on a Kindle (for more on this last comment, see my second post To ‘e’ or Not To ‘e’). There’s nothing like teaching a book to really appreciate the finer nuances, and after three readings, it made my list. If you know me (or read my first introductory post, Why do I like to write horror stories? ), you know that I might’ve been a little scarred by a youthful fear of the impending apocalypse, but more of a manmade end as opposed to a theological one. And The Stand definitely panders to that fear. A scene that I will always remember was when the normally verbose King very quickly and curtly details the amazingly rapid spread of a military super virus. 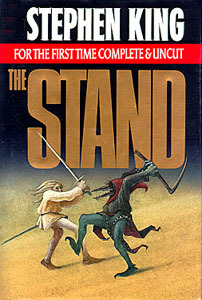 And after re-reading the novel in the Uncut edition [SPOILER ALERT], I was further affected by the first serious horror novel I had read that didn’t end with the “bad guy” being completely vanquished (my wife would claim this is because I was reading too much Dean Koontz at the time). But even before reading the uncut edition, I was in awe of the cast of characters that he assembled, and I still wonder if I’ll be able to pull off that many distinct voices in one book. My wife introduced me to this novel. Actually, in the early days of our marriage she would read it to me before we would go to sleep, a ritual of ours which comes and goes depending on what else we might be independently reading at the time and a ritual which can cause some unusual interpretations to tired eyes which will lead to hysterical laughter at potentially inappropriate moments (such as “tse tse flies” transforming to “testes fleas.” Much nastier fellows). But those moments aside, this is a novel that I believe every writer should read. Each chapter is narrated by one of the five very distinct voices (and points of view) of the women in the Price family, the wife and daughters of Nathan Price, an overzealous (read: “crazy”) missionary in the Congo in the late 50’s. Kingsolver does an amazing job of weaving their voices, experiences and interpretations of those events together in a way to which I think most writers would aspire. 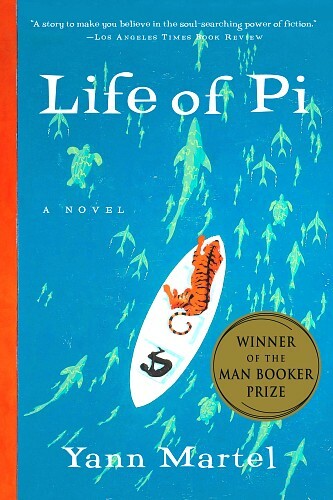 It’s funny to me that Eddie Vedder did the music to the film adaptation of this book, seeing as I believe, much like Pearl Jam, this was probably a novel that appealed so much to me as a young man in many ways simply because I was a male (my wife would agree with me on this one, by the way… at least as far as Pearl Jam is concerned). Much as I was attached to civilization in college, I wanted to consider myself counter-culture, and Into the Wild spoke to that desire to leave society behind, to cast off the taint of humanity. But more than that, it spoke to a personal wanderlust that I’ve carried through my life. I could relate to McCandless. I haven’t seen the movie (but I love the soundtrack), but one thing I really liked about the book is that Krakauer allowed you to relate to McCandless (and to Krakauer himself in many cases), but didn’t glorify the way he did everything. 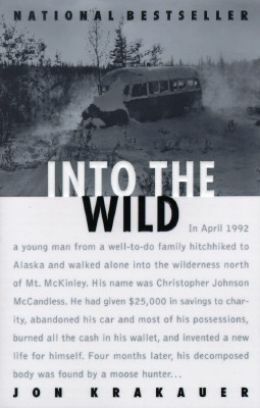 So even though McCandless’s story didn’t end well, it was still okay to want to do what he tried to do. I would say that this book would best be described as: “more than I was ready for at a time when I thought I was ready for it.” It was probably the first serious literary fiction that I read, and it was during my first bout with college when I was reading mostly genre horror stories. 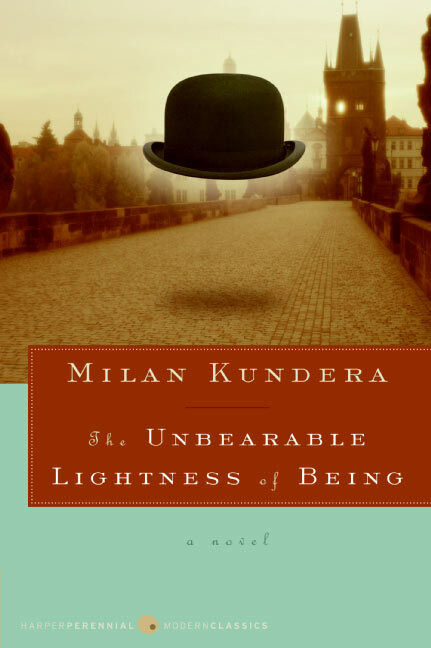 Kundera is pretty heavy, but he caught me at a somber time in my life (or was rather given to me at a hard time by one of my good women friends), and as they say, misery loves company. Not that the characters were all miserable (at least so far as I recall, but my recollections are hazy. See again my first sentence. ), but they weren’t all painted over with happy faces (or in the cases of most of my genre reading, horrified faces). This was reality. And reality isn’t all pretty. Again, my recollections of this book are vague, but it impacted me enough to know that I want to read it again. And I don’t say that about many books. Not even all of the ones on this list. Another one my wife introduced me to, and this story found me at just the right time and appealed to me on multiple levels. As a child, I thought I wanted to be a veterinarian, and even after letting go of that idea, I’ve still always loved and been fascinated by animal science, so I loved the zoo and animal behavior discussions. And I could relate to the main character’s quest for a god, in his case through an interesting choice of the combination of Hinduism, Christianity and Islam. I liked this idea so much that when I taught the book at a school for troubled teens, I combined it with a crash course of multiple discussions of various world religions. But beyond all of that is a captivating story about an Indian boy, the son of a zookeeper, stranded on a lifeboat in the Pacific Ocean with a Bengal tiger. The ending is a beautiful and poetic slug in the stomach. Besides the novels I’ve taught in my English classes, this is the only book I’ve read more than twice (I’ll have to think about that one, but I’m pretty sure it’s the case). As an English teacher, Cormac McCarthy makes me crazy with his lack of punctuation. And sometimes as a reader, too. But never as a writer. As a writer, I have a pretty serious man-crush on him. Because he knows how to tell a story. And in his dialogue are voices so strong that I liken his talent to Hemingway, who could go pages without dialogue attributes (he said, Mary said, she whispered) without losing the reader. The Road again played to that apocalyptic fear in me, but there was so much more to find in the story. And much as the horror writer in me wanted to know more detail about how the craziness went down, what I love is that you really never find out, because this is not a story about the end of the world so much as a story about a father and a son trying to make their way through it. His other stuff is very different story-wise, but I’ve enjoyed everything else of his I’ve read since. And by the way, if you’ve only seen the movie version of No Country for Old Men, it is an absolute must for you to read the book. The book gives sporadic first person chapters from the point of view of the Sheriff (Tommy Lee Jones) which add amazing depth not only to his character but the whole story. Without giving away the ending, I had a hard time justifying the Sheriff’s decision in the movie, but after reading the book, it all made sense. Breakfast of Champions — or — Goodbye Blue Monday– Kurt Vonnegut. Category: Fiction/Science Fiction/Satire/Comedy/Tragedy. I blame the beautiful hippy. She was the type who would look at you when you were talking as if no one else in the world existed, giving you all her attention, listening intently while seeming as if she already knows what you are going to say. And when she spoke, she said things that my young college mind had never thought of before. Naturally, I was in love. And naturally, she had an amazingly cool boyfriend next to whom I couldn’t hold much of a candle. But she left her impression in my life through Vonnegut. So much so that the summer after reading it, I noticed that I was peppering my horror with his trademark “And so on.” I loved this story, which I couldn’t really even start to explain. But don’t worry, it has pictures. And it introduces one of my favorite characters, Kilgore Trout, a writer whom all writers can relate to and are terrified of becoming at the same time. This was actually the first story I read aloud to my wife (she read Poisonwood Bible to me next). I’m not sure if Twilight has surpassed it, but at last count, The Holy Bible still ranks at the top of the list of the most read books in the world. It’s interesting to me to look at this list of books and see how many have strong elements of some sort of spiritual quest (for more about why these common story elements fascinate me, see Why do I like to write horror stories?). I don’t know that I was necessarily looking for a God when this book was given to me by my parents, but I think I found mine in these pages. As you might have gathered by my reactions to these other books, if I were to claim a religion, it would be a hodge-podge of bits and pieces of other religions along with some creative ideas and interpretations of my own. I’ve been pretty comfortable with this for some years now, but thinking back, I probably hadn’t been following this new vision of separating the spiritual from the religious for more than a couple of years when I got this book, and whether or not you believe what this guy says (essentially that God spoke through him), the things that he says struck me as the closest thing to the Written Word of Paul D. Dail at that point in my life. Not to mention there is a lot of playing with language which appealed to me as a writer. As I mentioned in my previous post, I stole this topic from my good friend Brandon R. Schrand (if you haven’t already, go back to the previous post and read the excerpt from his second memoir, soon to be published). However, for the sake of brevity (and because as I told him, coming up with ten of the most influential books might be a push for people who aren’t big readers), I’m just going to ask you for three of your favorite books, alphabetical by author. And don’t forget to check back next Friday for my discussion of The Shack. Also, I stumbled on a blog recently (www.worldsinink.blogspot.com) that had a fun idea. His idea was to do a monthly post of what’s “On my bookshelf,” listed alphabetically by author. This month is A-B. It seemed fitting to do it here, so here are a few from my bookshelf that match that description. Let me think, top three? These would have to be the top three. I guess I combined two by Lewis Carroll. (I love all his work, especially the poem Jabberwocky. Sorry for the random babbling). Thanks Lea. I know for book folk, coming up with only three is difficult. I really like Jabberwocky, as well. It was fun to use for my creative writing class to see what students would come up with on their own using it as a model. Hope you have a good weekend. Hey Brent, thanks for putting your three. I see we have one in common. And while I’ve not read any Toni Morrison, I’ve been told that I should. Have you read anything else by her? If so, would this be your main recommend? Also, I see you have a blog, as well. I’ll be sure to check it out. Freedon, Franzen. The first full length novel I read on my ipad. I’m glad I always have it with me now, because I’ll need to read this one many times before I tire of the story or the writing. On the Road, Kerouac. I love almost everything Kerouac except the man, but this one really blew my mind open. Catcher in the Rye, Salinger. Still some of the best literary swearing, and an epic and archetypal tale. Hey Jenne, thanks for stopping by. If I were to guess, I would say the other one you haven’t read is the Clive Barker. If you’re not a horror fan, I would say don’t bother. Kind of like my theory on skydiving. If you have never wanted to do it, don’t. I’ll have to go back to On the Road. I started it in my college daze but didn’t get very far. Not sure what happened. And what is the name of the novel by Freedon? I absolutely LOVE Clive Barker. His stories are so original. He makes you terrified of things you didn’t even know were terrifying! Oh, and in case you were wondering from my “Great and Secret Show” description, I’m not a Mormon… not that there’s anything wrong with that :)… but I’ve lived in Utah long enough to pick up the mistake. Hmmm, tough to pick only 3. 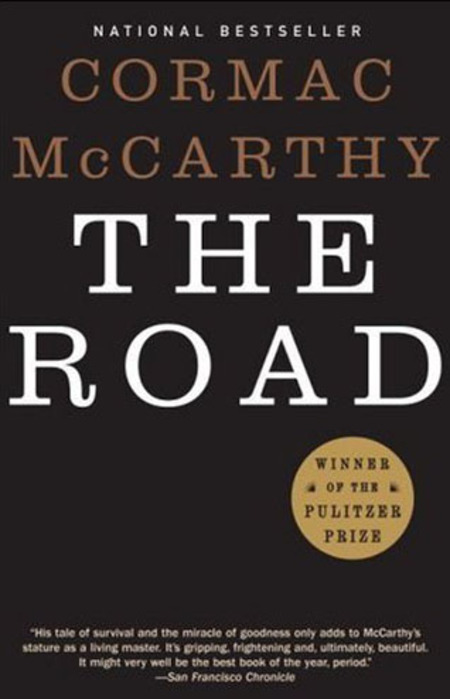 I am glad to see The Road…love anything by Cormac McCarthy! Still haven’t read the Safe, Secret Circus…hahaha since you bought it for me in soft cover (inside joke people). Love The Four Agreements by Don Miguel Ruiz, A People’s History of the United States, 1492 to Present by Howard Zinn (kinda gives a look behind the curtain) and gotta’ go with The Giving Tree by Shel Silverstein. I could go on and on…Eckhart Tolle is another author I enjoy, Heroin Diaries, 7 Spiritual Laws of Success, The Tao…yeah, I could go all day. There ya’ have it brother! Nice job on this blog. It’s fun to get new ideas for reading and see people’s comments! For anyone reading this, my brother wasn’t a big reader until… well, he’ll say college, but ahem… I believe it was a little after. But let me tell you how great it has been since then to be able to exchange books as gifts with my big brother. Of course, he wouldn’t (and probably still doesn’t) read mass market paperbacks (ergo, after probably ten years, he still hasn’t read the Clive Barker I gave him), so now they have to be trade paperbacks. Thanks for the additions to this list, Tony. We’ll have to talk further about some of those. In no particular order, not even alphabetical (sorry love). With the exception of The Road and Cat’s Eye I have read all of these books at least twice. I think good books are like good…anything, they get better with every read (or watch or being with). Heading off to the mountains, so no signal until Sunday (which means moderated comments won’t be approved until then), but I look forward to getting back to range and posting all of your comments then. Have a great weekend. I can’t say I’m a Lit Major without knowing about this books. But I can’t also say that I’ve earned my salt because I have yet to read most of them. Great selections! I wouldn’t worry too much, Kate. It’s amazing how many great books are out there (and not just the classics, obviously). I’m an English teacher and there are worlds of great books that I feel like I should have read but just haven’t yet. Plenty of time, I guess. And this is just my list. I’m sure you have some great books on your list that I would be embarrassed to admit I hadn’t read. Thanks for your comment. Good post! I blog about being Vonnegut’s biographer at “Writing Kurt Vonnegut” http://www.kurtvonnegut.com, if you’re interested. Charles, I will definitely check out your blog. I’m a big fan. Breakfast of Champions was my first, but I could list quite a few more Vonnegut books that I’ve loved. Thanks for stopping by. I know I’m beyond three here, but Pearl S. Buck, The Good Earth, is another I would list, although it has been years since I read it and think it’s time to read it again (along with the above three). And on a more current level, I loved The Hunger Games trilogy and thank Kira for telling me about those. Let’s see if I can guess. I don’t think you’ve read Into the Wild, Unbearable Lightness of Being, and Breakfast of Champions. Am I right? Anyway, you’ve got some great ones on your list and I’m pleased to say that of all the great horror books you handed off over the years, I also was very pleased that you recommended The Secret Garden and Lost Horizon to me (I think I found TKAM on my own). Oh, and I have The Good Earth if you want to borrow it. Stephen King- The Dark Tower series. I’m counting 7 books as one here. I’m working on a half-sleeve tattoo of artwork from the books, so yeah, I’d say these are up there… Along with most other Stephen King books. Anthony Burgess- A Clockwork Orange. I read this for the first time when I was about 15 and it absolutely blew my mind. The flow of writing and the vocabulary and the psycho-social commentary are all so stellar. The movie adaptation by Stanley Kubrick was pretty great as well. Poppy Z. Brite- Exquisite Corpse. NOT for the faint at heart. Poppy is sick and twisted… Even for me, which is saying something. My girlfriend picked up the book, opened it to a random page, read for 10 seconds, slammed it shut, put the book down and walked away. Just sayin’. Also up there: Hunger Games trilogy, Brave New World, Are You Loathesome Tonight and everything by Chuck Palahnuik except Pygmy. Which was unreadable. Kat, these are some great additions to the list. I haven’t read A Clockwork Orange, but have heard that I should. And I loved 1984 (I’m only 4 books into the Dark Tower series, but look forward to finishing). I’ve also only read the first Hunger Games, but will read the next two. And I read BNW for the first time this year and taught it to my honors students. And go Chuck! Poppy Z. Brite sounds interesting. I’ll look into it. Thanks again. Do you have a blog? I’m sure it would be entertaining and I would gladly subscribe. Sharp Objects by Gillian Flynn, can you say gritty? The Possession of Mr Cave by Matt Haig, so direct it made my skin crawl. Rant by Chuck Palahniuk, goes deep and the format was unexpected, even though Palahniuk fans should all know to expect the unexpected from him by now. Viviana, thanks for stopping by. I’m loving the responses I’m getting to this post because it gives me great new material to check out. Haven’t heard of the first two, but I’ll look them up. As far as Chuck Palahniuk, the next one I want to read by him is “Haunted.” Have you read that one? I have yet to read Haunted, but I do own it. Hopefully I’ll get there before the end of the summer, I have about 6 or 7 books ahead of it that I’m itching to read. Invisible Monsters is my all time favorite by him, but Rant, as well as Fight Club, were more influential on me. Rant really made me rethink the normal format/formula of how a book is written. Sort of like The Strain by Guillermo del Toro and Chuck Hogan. That book reads more like a film than most films do. It’s pretty awesome! I haven’t read Conversations With God, but after this I will. It is so hard to narrow it down but great influences for me are The Lion, The Witch and the Wardrobe, CS Lewis. The Demon Haunted World, Carl Sagan. The Blue Sword, Robin McKinley. Pride and Predjudice, Jane Austen. Interview With a Vampire, Anne Rice. There is sme non-fiction as well, but I won’t bore you with that. Thanks for your list. There were some surprises in there for me. Thanks Kodi. Conversations with God is a little heavy at first, but well worth it. If nothing else, it makes some fascinating philosophy/theology. And I’d be curious to hear some of your non-fiction as well. Terrific post. Both you and your wife have great taste in books. My taste in books is eclectic like yours. And any list that includes Vonnegut is a good list (Cat’s Cradle is my fave). I’d add Catcher In The Rye and Nine Stories by JD Sallinger. Steven King and Sallinger were among the biggest influences on me as a writer… Go figure. Thanks for sharing. Thanks for your comments. I haven’t read Nine Stories. I’ll put it on my list. And I think to be successful writers, we have to have eclectic tastes. I used to read all horror, but anymore, I’ll read anything I can get my hands on. Thanks Erik. I haven’t read Phantom Tollbooth, but I love the other two. And I was pleasantly surprised by the movie adaptation of Pet Semetary. Thanks for stopping by, and I’ll be sure to check out Phantom Tollbooth. Read this book for a class my “senior” year in college. In today’s politically correct litigious environment, these guys would have been shouted down and nothing they said would have been recorded for posterity. As an example Democritus said, “To be ruled by a woman is the final insult for a man”. But he also said, “Having children is dangerous: success is full of trouble and care, failure is unsurpassed by any other pain. Some interesting choices. I read the Bachman Books when I was younger, but I remember liking them. Interesting third choice. I like the quote about children. And I imagine there are still a few men who would echo his words about women. Thanks for the input. I’ve never read Battlefield Earth. All I can picture is John Travolta. I feel like that would be a problem. Much thanks for stopping by. I can understand with Faulkner. There have been several books that I’ve really liked but would’ve never read except out of obligation. And I’ve always loved the background story behind Frankenstein. I wonder if there was much competition between husband and wife. I feel like it would be difficult to be married to another writer. I think it would probably be alright to be married to another writer if they wrote something completely different. Ha! You’re the first person I’ve seen cite The Great and Secret Show as influential. I like it, it’s definitely in my own pantheon of influential works as well. I missed this when you originally posted, but I think I’m going to do my own list later in the week (with credit given where due of course)! The first book was easy, the other two I had to go hmmmm for awhile. Wendy, I’m glad I made you think a little. My wife put Watership Down on her list, as well (and without giving away too much, my Friday Flash this week has something to do with rabbits). And yes, just the mention of Pennywise among my friends in high school was enough to send shivers. As for your third book, this is why I’ve loved this post… because I can get ideas for new books to read. I’ve heard of Sherrilyn Kenyon, but haven’t read anything. Now I know where to start. Thanks for stopping by. Love your selection of inspiring books, I’ve read Into the Wild and The Road before the movies came out. The Road does give a bit of fear of the apocalypse, while Into the Wild has made me look at personal anecdotes differently. But the book that has inspired me the most is The Last Lecture by Randy Pausch, it was a required book for my English class my freshman year of college. I wouldn’t have picked it for myself but I’ve re-read it and recommended it. Funny how life can sometimes get in the way, eh? Glad you made it by. I like your choices (although I’m not familiar with La amortajada or The Last Lecture, but I’ll check them out). I liked The Vampire Lestat better than Interview with the Vampire, but I believe it’s because I read the latter after seeing the movie and found it difficult to get through. But I enjoyed Lestat. I’ll need to pick up The Hobbit again. It’s been years (and I better do it before the movie comes out). Thanks again for the visit. Totally agree about Fahrenheit 451, Paul. Read it as a required summer reading for English class and loved it! And I just made my mom read Life of Pi. It is such an amazing book! I woould add To Kill a Mockingbird to the list. Ana, thanks for stopping by. I wish someone would’ve required me to read Fahrenheit 451 earlier. And yes, To Kill a Mockingbird is definitely not far off this list. Unfortunately, much as I love it, it’s the book I give to kids who don’t want to read Of Mice and Men with the class (for more on this check out my post “White Men Can’t Write… or Rewrite, rather.”), so I’ve developed a little less love for it (but only for that extremely silly reason). I don’t write horror and read only a little, but I do have the firm belief that reading excellent writing in any genre leads to bettering your own work. Authors who inspire me are Dickens, Austen, McCaffrey, Vonnegut, Dahl, the list goes on. I also love Oscar Wilde, especially The Picture of Dorian Gray. This makes me want to write a post of my own just like this. Off I go. Maybe with any luck, I’ll find my way into the little bit of horror that you read 🙂 You’ve listed some good one in your list of authors (and Dorian Gray is pretty spooky). I have a backburner idea loosely based on a Dahl story. If you do your own expanded list, let me know. 2. A Prayer for Owen Meany – John Irving. I went on a big John Irving kick in 9th grade and honestly much of it was over my head (although my teen-smarts would never admit that at the time.) This is the only book I have re-read as a real life adult and I treasure it. Maybe I should hit up Irving again and I’ll understand why so many people run around with bears in his books. 3. Gone With the Wind by Margaret MItchell – I refuse to be ashamed for my love of a good Southern romance. I have always been torn between wanting to be Melanie but acting like Scarlett (sometimes visa-versa). 4. Harry Potter Series by J.K. Rowling – You promised not to judge, remember? Hear me out: To me, the publication and success of this series was a watershed moment for our society in terms of creating a new generation of readers. It got young readers excited to crack a book, writers pumped up to create magical worlds (not all great, I know, but some are) and publishers hopped up about finding the next big thing. Rowling spins a good yarn, there’s no denying it. 5. The Great Gatsby – F. Scott Fitzgerald. Read this in high school and, again, didn’t appreciate it until I was older. I went on quite the Fitzgerald bender last year after re-reading this book. I could try to wax poetic for ages about it, but basically my take-away is: Man, Daisy’s a jerk! 6. The Pillars of the Earth by Ken Follett – Just love it from top to bottom. I had been dodging this book forever because it is unreasonably thick and felt like it might be a chore. Don’t you know, at the end I was wishing he had written about a thousand more pages? Guess I’ll stop here for now. This has the makings of a pretty good blog post 🙂 Thanks for sharing such a great idea. I loved reading what other readers’ choices where and have added quite few to my To Be Read / Re-Read pile! Hey Steph, thanks for stopping by and starting up this list. Yes, I think you should continue and expand for your own blog. This has been a great way to get to know others and get some good ideas for new books. Obviously, I had The Stand on my list as well. Not sure if I mentioned in my other replies, but A Prayer for Owen Meany was almost on the list. Will have to look into the Ken Follett. Great article! It intrigued me to read more of your previous posts. which takes you on a journey with a simple farm boy for whom destiny and fate have something else in mind, a destiny far from the simple farm life that he’s grown up with. Living under a tyrant king ‘Galbatorix’, once Eragon finds a dragon egg, and realizes he is a dragon rider, it is upto him to change the fate of his kingdom and his people. This was an enthrallign read that had me hooked to the last word. I absolutely love it. One of my all time favorite novels. This book falls short of criticism and in my opinion, the best example of the perfect ‘fantasy’ book. J.R.R.Tolkien yarns such a beautiful tale, where nothing falls short of the word perfection. This man created a universe and wrote about a story in it, with every detail falling in to place at the right time, depicting his mastery in the art of story telling. Thanks Mashal. I appreciate the comments. I haven’t read the Paolini book, but I met him briefly at the Maui Writer’s Conference several years ago. Interesting bit of information for the Lord of the Rings trilogy. It was actually originally intended to be one single novel, but I guess the publisher wouldn’t pick it up as something that big, so he split it up into three books. Thanks again for stopping by and leaving your favorites. A good mix of old and new. I did meet him, but seeing as I was about 20 years older than him at the time (and he was already on his way to fame), it wasn’t much more than a handshake, “nice to meet you” and “congratulations on your success” type of meeting. Thanks for the info on LOTR. I just heard my tidbit from a friend. It made sense, so I never bothered to verify. That’s funny. 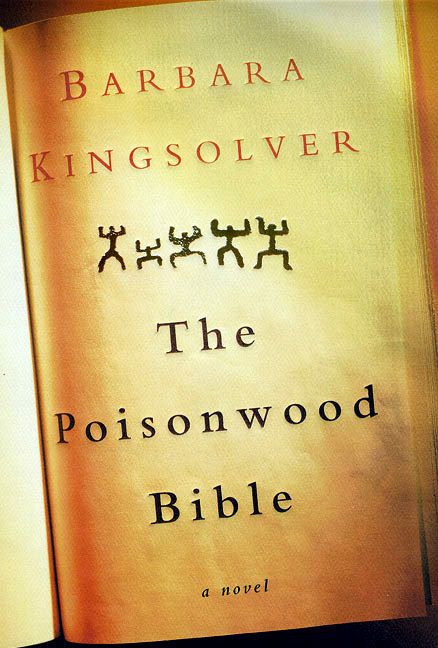 I had forgotten how long it took us to read The Poisonwood Bible. It’s because Jennifer was reading it aloud to me at the rare times we had at night just before bed. And you can keep being a broken record about The Count of Monte Cristo, especially if it’s up there on your list. Thanks for the comments. Hmmmmm…. hard to say what my top three would be. I’m so eclectic in my tastes. I have to check out that Clive Barker book. I was a HUGE horror fan in my youth but now I’ll read anything that is good. Well, if comic books are allowed, I have to go with The Sandman and Books of Magic series. The Sandman was written by Neil Gaiman and so was the first Books of Magic. These comics were not like the others. Reading them was like uncovering an entirely new concept of art. In the Sandman, the story was very poetic and dream-like as it centered around the archetype of dream and his immortal brothers and sisters. The Books Of Magic was like Harry Potter except the protagonist was really messed up and there was a chance of him ending up being the most powerful and evil magician ever. He struggles with the angst of growing up and everything he did lead to him opening some magical portal that was just as complex as his own subconscious. With books, I don’t know. I’ve read so many. I’m very influenced by mythology from every culture and by Shakespeare. Poppy Z. Brite’s, Lost Souls had a huge effect on me. I liked her version of punked out vampires. She wrote about pshychic characters and lost teenagers way before this new wave of YA writers came about and I still think she’s darker than any of them. I’m kind of the same way with horror. Haven’t read as much lately, but still a fan from way back. The Sandman and Books of Magic sound interesting. I’ll have to look into those. Not a big comic/graphic novel fan, but it sounds like those are more art. And I’ve had a few other people mention Poppy Z. Brite. Sounds fascinating. Thanks for the comments. Coffin hopping here … Three books … hmmm … That’s not a lot. I have to pick carefully, as I too am a dark fiction writer inspired by the greats. Your picks are wonderful, by the way. Much thanks Nora for your additions. Surprisingly, three books I haven’t read, but which I have been told I should read by many people whom I trust. You’ve just added another vote of confidence. So many good book possibilities for the list. I’ve loved this post for just that reason. Thanks again, and hoppin’ over to your blog for the interview. Wait a minute. I thought Ellen’s name sounded familiar (so many new people the past week), and that’s because I already commented on this very insightful interview. So consider this my recommendation to anyone else who hasn’t hopped to Nora’s site yet. My top three would be Never Let Me Go, Beloved, and Sophie’s Choice. Whew! That was quick 🙂 I’ve not heard of Never Let Me Go, but I’ll check it out. And Beloved is on my wish. My wife is a Toni Morrison fan. Thanks for stopping by.